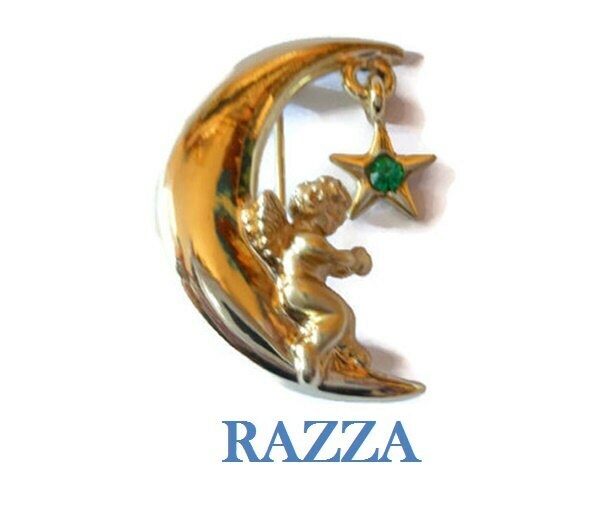 Razza angel star brooch - green May faux emerald birthstone rhinestone star hanging on moon with angel signed. 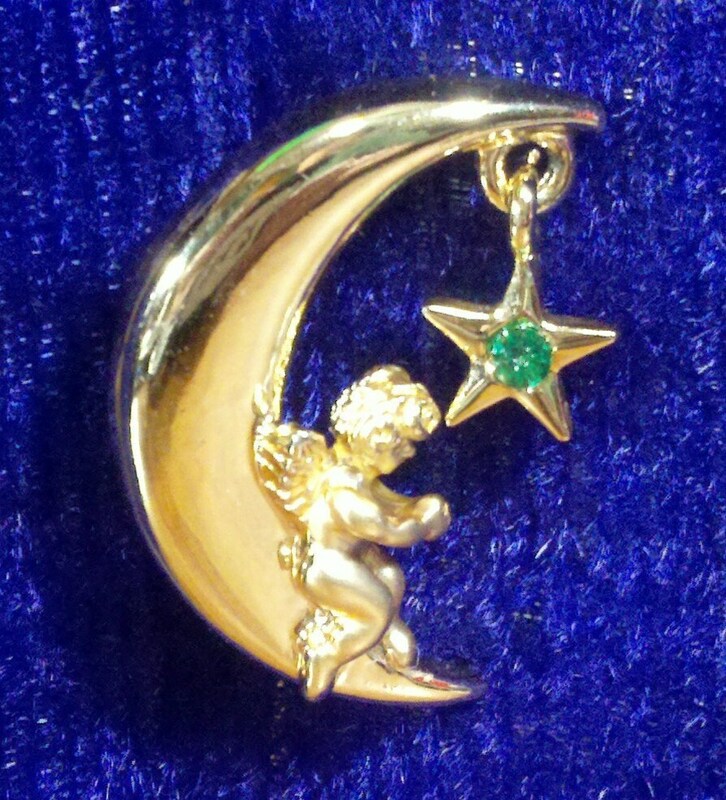 Birthstone angel or Christmas angel or just to wear with green. Signed L. Razza. 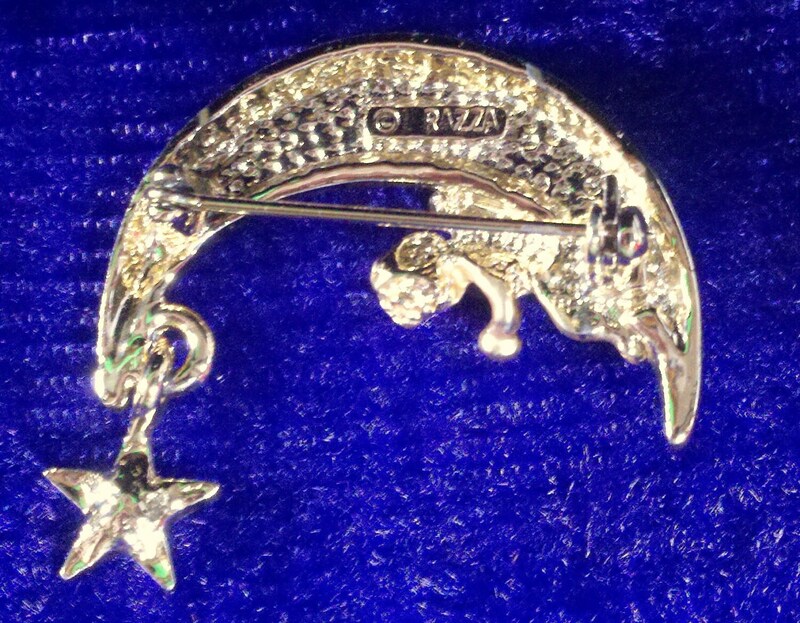 Measures 1" (3 cm) x 1 1/2" (4 cm) and is in very good condition.